A timely book: as Israelis and Arabs are moving towards a settlement, this study offers a valuable historical dimension, from the Jewish point of view, to the main issue involved, i.e., the idea of peace. 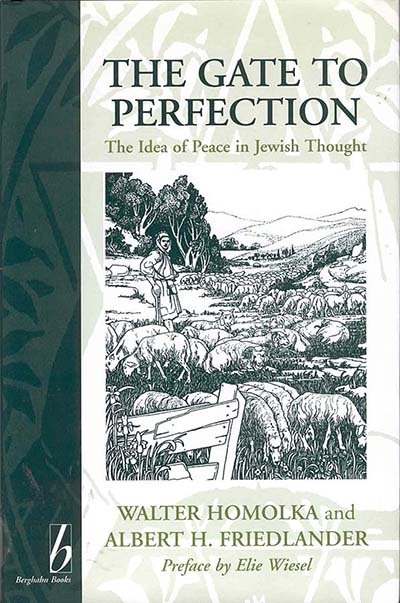 The authors maintain that peace has always played an important role in Jewish thought, that in fact Judaism as a religion is characterized by the striving for peace. They reach this conclusion after having examined a variety of sources, ranging from the biblical texts of Old Israel to the Talmudic tradition and Jewish Philosophy of Religion up until the twentieth century. Rabbi Professor Dr. Walter Homolka is rector of the Abraham Geiger College at Potsdam University, Germany's first rabbinical seminary since the Holocaust. He is Chairman of the Leo Baeck Foundation and an Executive Board Member of the World Union for Progressive Judaism. His publications include Leo Baeck: Teacher of Theresienstadt (1991) and Riders towards the Dawn(1993).